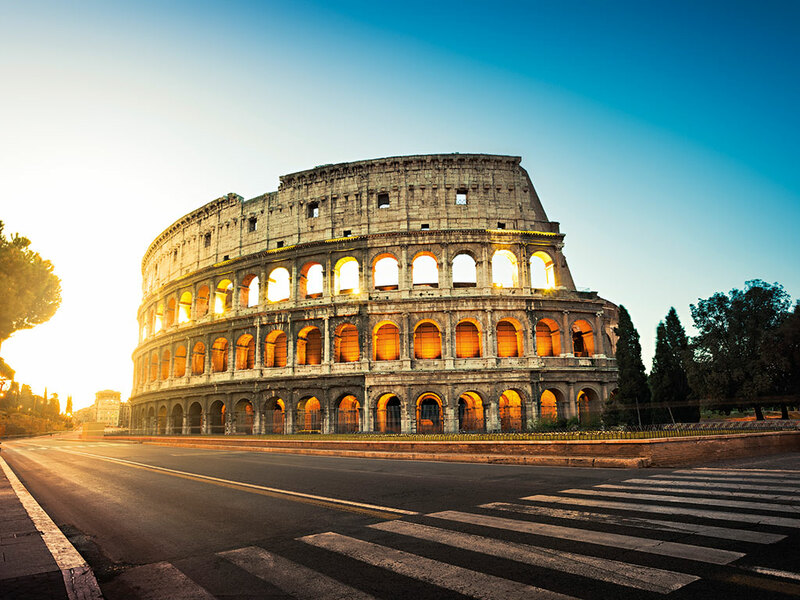 Rome’s sightseeing goliaths are famous around the globe for good reason, as this bustling metropolis houses perhaps the world’s greatest, both in number and fame. As a result, millions of people travel to Rome each year in order to experience a culture that stretches back 3,000 years. The city is also the home of the Catholic Church, making it a destination of pilgrimage for 1.2 billion followers worldwide. As such, Rome’s ancient architecture, priceless art, spiritual capacity and fascinating legacy make it a cultural hub, not only for the region, but also for the entire world. Boasting structures that date back to before the birth of Christ, Rome is one of the oldest continuously occupied sites in Europe. The city is an essential destination for any self-proclaimed history buff: there is of course the famous Colosseum, a mammoth stadium that held a captive audience of 50,000 with bloody gladiator fights and battle re-enactments, and today provides a fascinating insight into the Roman past. Likewise, the nearby Roman Forum and citizen houses are indicative of a highly social and advanced civilisation. Rome is an incredible city for simply walking around in, as stumbling upon fascinating sights is a common occurrence. One sight worth specifically seeking, however, is the Pantheon; an imposing 1,889-year-old structure that represents both the city’s ancient past and its transition to Christianity. The city’s religious monuments are as fascinating for their historical and cultural significance as they are for their spiritual sentiment. 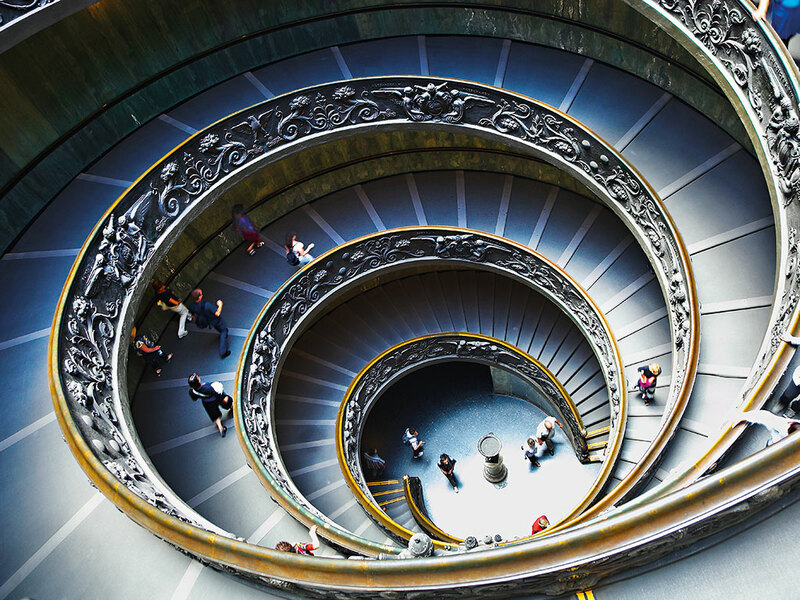 Located in the world’s smallest country, the Vatican Museums house a vast array of invaluable art, artefacts and even pagan sculptures dating back thousands of years. The ceilings are awe-inspiring, transcending creed in their aesthetic value. Then there is the unmissable Sistine Chapel, wherein guests can marvel at the frescoes of Michelangelo; his immense, solo work that is not only a feast to the eyes, but also testament of his sheer genius and direct impact on the art world. What is astonishing about Rome is that this fascinating city goes beyond even history and religion. Nowadays, it is also a beacon for the arts, with various festivals that are celebrated throughout the year. There are outdoor concerts during the summer along with arts, crafts and antiques fairs, as well as events dedicated to jazz, dance and film. There is also the Roma Outdoor Festival, which celebrates art, music, design, photography and more, in October. As the birthplace of the Baroque and Neoclassicist art movements, Rome is dedicated to celebrating the arts, and so whatever the time of year, revellers in Rome can be inspired by a plethora of modern and ancient art. It would be remiss to not mention Rome’s food culture, which is prevalent across the sprawling city. Although there are numerous overpriced tourist traps located among the main streets, there are an abundance of hidden gems that can be found on back roads and quiet, unassuming piazzas. It is here where visitors and locals alike can truly appreciate the legacy of Roman cuisine, which is delicious, varied and also reasonably priced. For Rome’s best pizza, tourists are advised to do as the locals do and visit a ‘hole in the wall’ establishment, many of which do not have seating. One such example is Pinsere on Via Flavia, a modern, incredibly cheap pizza bar, which boasts some of the best food in the city. For those in the business of the arts, both old and new, there is no better place to visit than this capital city, which is dynamic, rich and full of surprises. Rome really does epitomise the very best of Italy, and cannot be visited just the once.